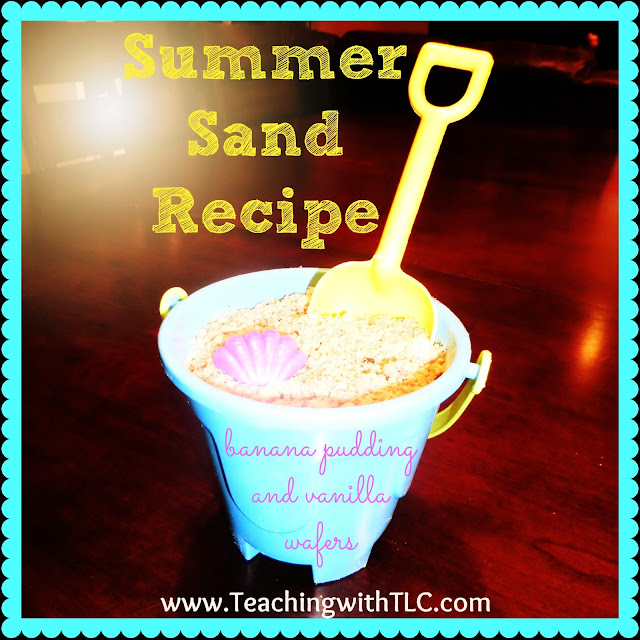 Teaching with TLC: Summer sand dessert is a huge hit! Summer sand dessert is a huge hit! I have been enjoying this summer with my kids. We've been on several vacations, spent lazy days reading, and had lots of cooling off in the pool. I recently made a dessert for the neighborhood kids and they went crazy over it. I think it was all due to the presentation, even though the recipe does rock. The kids loved the idea of serving the "summer sand" in a pail and scooping it out with a shovel. It really does look like sand! I made my kid's favorite banana pudding, which is a combination of my sister's recipe and Paula Dean's famous recipe. My second son has been hooked on banana pudding since he was one year old, so I have tried many different variations over the years and we finally have the one recipe that will stick around. Beat until mixture is thick. Layer pudding with four sliced bananas. Crumble vanilla wafers on top. (We have also used Pepperidge Farm's Chessmen Cookies or Golden Oreos for the top.) Refrigerate for a few hours before serving. 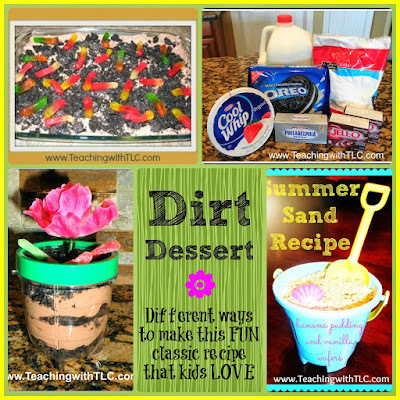 Summer Sand can be made with a Dirt Cake/Dessert recipe for those of you who may not like bananas. Just use vanilla pudding in lieu of the chocolate pudding if you choose to make it this way. If you'd like your sand to look more realistic, add a couple of crushed Oreos to the vanilla wafers and mix altogether. For the next pool party or party with a beach theme that I host, I plan on getting these adorable mini-buckets for individual servings. The kids could even take these home as a party favor. 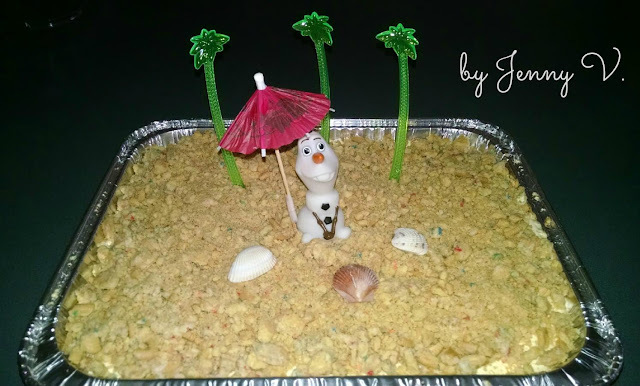 My sister made this adorable Olaf cake using the summer sand concept. Some tips she had was to add blue food coloring to make the pudding look like an ocean and to divide up the cookie and pudding part. Totally cute!